Passing your driving test and becoming a new driver is an exciting milestone for many young people. Driving is a life skill, a step closer to maturity and offers newfound independence. 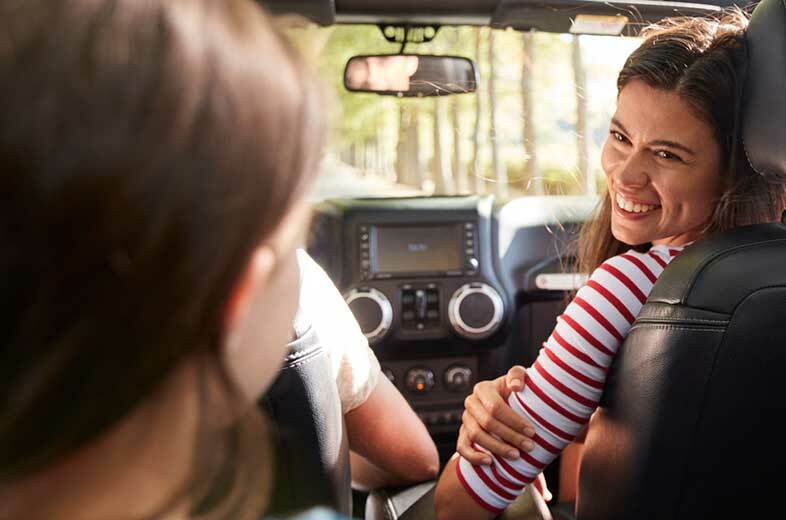 The flip side to the excitement of driving however is the challenge all new and young drivers will encounter – that is – finding affordable car insurance coverage. If you are a new or young driver, there are ways you can maximize your savings on car insurance. Why Is Car Insurance So Expensive For New And Young Drivers? Driving Experience - New and young drivers lack driving experience; this translates into the risk of more accidents. More Accidents - Statistics demonstrate that new drivers are more likely to get into at-fault accidents. The cost of car insurance rises as the risk of accidents rise. Insurance History - New or young drivers do not have insurance history. Again for insurers, this adds to the risk of insuring a driver. Complete A Driver Education Course - Get a discount when you complete a ministry-approved driver education course. You need to get your Driver's Licence History (DHL) Report from Service Ontario to prove that you completed and graduated from a Beginner Driver Education Course. Go the MTO website to get a list of ministry approved course providers. Complete The Graduated Licensing System Quickly - Did you know that there are insurance discounts offered at every stage? From G1 to G2 and then from G2 to G. Move as quickly as possible through each stage so you can take advantage of these discounts. Multi-Vehicle Discount - If you live at home and drive your own car, you may be able to add your car to your parents’ insurance. Insurance companies reduce premiums when there is more than one vehicle on a car insurance policy. Combine Home + Auto Insurance Coverage - Most insurance companies will offer lower car insurance rates if you bundle your home insurance with your car insurance. Be Loyal - When you stay with an insurance company for a prolonged period of time, many companies will offer you discounts for being a loyal customer. Car insurance discounts for new and young drivers vary by insurance company. Be sure to speak with your insurance broker or company to find out what is the best coverage for you so you can maximize savings and discounts. Build Your Insurance History - Build your insurance history by being listed as an occasional driver on your parents’ cars. This gives insurance companies information about you as a driver and your driving habits. Maintain A Clean Driving Record – Get the lowest car insurance rates by keeping your driving record free from tickets or accidents. Insurance companies like good and safe drivers. Don’t Buy Or Drive A Car That Is Expensive To Insure – Car insurance rates can vary drastically depending on the make and model. Some cars are safer and less likely to get stolen so they cost less to insure. You could save you hundreds per year just by choosing a car that is less expensive to insure. Learn about the cheapest cars to insure. Shop and Compare Car Insurance Quotes – Car insurance rates will vary between insurance companies – including the types of discounts you might be able to take advantage of. So it makes sense to shop and compare quotes from multiple companies. Enroll In A Usage Based Insurance (UBI) Program - Usage Based Insurance is a new type of car insurance that uses telematics technology to monitor your driving habits. By monitoring the number of kilometres you drive, when you drive, and your acceleration and braking habits, you can save significantly on your car insurance premiums. It’s a way for you to be rewarded for good driving. Why Is Usage Based Insurance A Good Option? One of the reasons that new and young drivers pay high insurance rates is that they don’t have a driving history. Insurance companies have to rely on risk statistics to determine your rates. But when you provide personalized driving information, insurers reward you for your safe driving habits. Usage Based Insurance programs are different from company to company. Some only require you to be monitored for a 6-9 month trial period and then there will be enough information to determine your potential savings. There could be savings of up to 25%. Most companies offer enrolment discounts also so you can save just by signing up. While you’re enrolled in a UBI program, poor driving habits or speeding WILL NOT increase your insurance premiums and information CAN NOT be used against you in an accident claim or by the police. Car insurance for new or young drivers can be quite costly. Still, there are many insurer discounts that can help you to lower your insurance costs. And as a new driver, you can also actively work to lower your insurance rates and keep them low. Contact your insurance broker. They will work with you to help you make the best car insurance decision. <<How Are Ontario Car Insurance Rates Determined?